This is my third time ordering at Tom and Chee. The first time was when they had their grand opening. Not going to lie, there was people every where, they were slow and my food took 25+ mins. However, I'm not going to shi* on them at all because I know how new and stressful a restaurant opening is. Nonetheless, it was great then and has been every time since. My fam and I went on a sunday evening and we were the only customers, so there ya' have it. 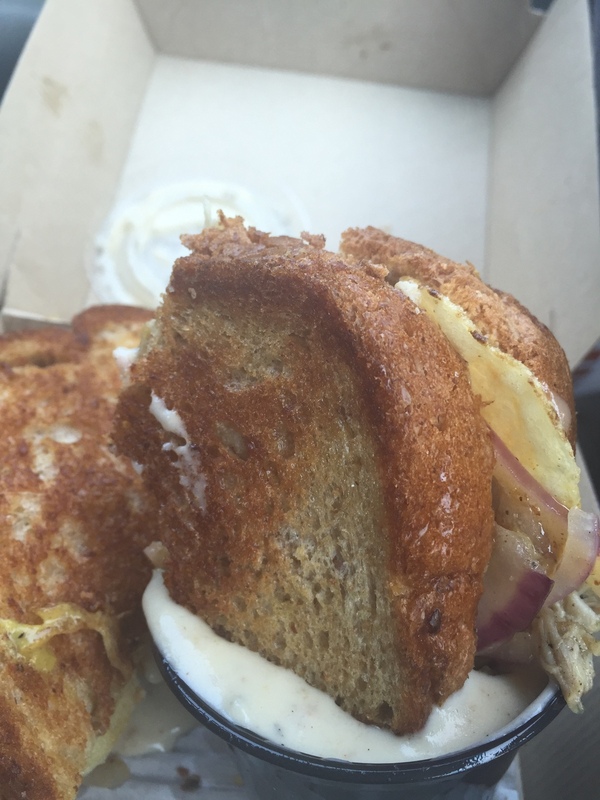 Tom + Chee has a very relaxed vibe. There's an extraordinary amount of seating if you opt to dine-in, from bar stools, 'sushi bar' style seating and regular family tables. You order from a huge menu on the wall boasting grilled cheese and soups. One of the coolest aspects is that you can see into the grill area. I've always liked places like that, so I can peek at my food while it's cooking. Sign up with your email address to receive drooling news and updates. No spam here, unless it's in a can.